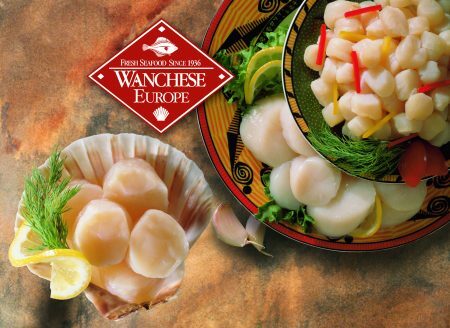 In 2008, Wanchese Fish Company decided to expand their reach on a more global level to include Europe opening a sales office in Paris, France and cold storage facility in Le Havre, France. This distribution center would make it easier for the company to sell scallops and other Wanchese products throughout Europe. The majority of the business in Europe has focused on distributing wild caught Patagonian Scallops from Argentina and Sea Scallops from the USA. When Wanchese was acquired in 2015 by Cooke Seafood USA, this provided even more product offerings including a variety of different seafood products from the U.S., Canada, Argentina, Alaska, Scotland, Chile, and Spain. Our scallops are sold frozen in bulk 15kg cartons. 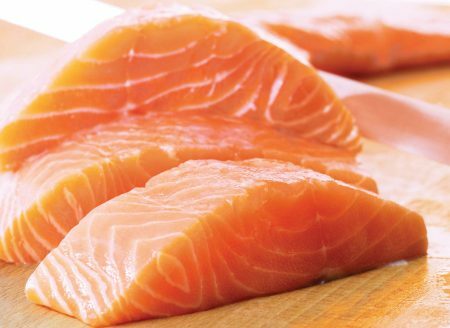 The salmon is also in bulk, but they come in different weights based on the cuts. We ship orders ranging in size from pallets to containers. If you are interested in purchasing our products or would like additional information, please contact Jean Marc Soares (jmsoares@wanchese.eu) or Jonathan Daniels (jonathan@wanchese.eu).